Dana Pecoraro founded The Midnight Orange in 2008 and for the past decade has been caring for tender hearts one bespoke sculpture at a time. She feels her work isn’t about loss, but about life and love and loss co-exists among both. Through clay she aims to capture the spectrum of human emotion from bright to raw, and touch the difficult paths life lays before us. Her sculptures are beloved by grieving families worldwide, and are used by therapists who most often incorporate them into sand tray therapy to aid in the path of healing. Dana lives in a quiet little town in New York, right between Niagara Falls and Buffalo. She and her husband are both full time artists and they have two beautiful daughters. 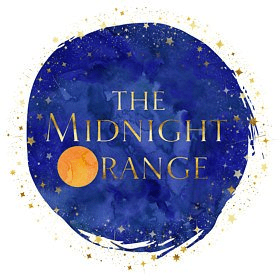 To learn more about Dana, her work, or to begin a collection of your own, you can visit her website at www.themidnightorange.com. I am a story teller. Whether editing a documentary film or broadcast television series, or photographing theatre or dance, I create compelling stories through the power of images. Based out of Minnesota, I’ve been in the film and television industry for over 20 years. My work has been recognized with a Peabody, and multiple Emmy awards, Telly awards, and CINE awards. My diverse body of work spans across multiple mediums, and my passion for the craft of editing and photography, and visual storytelling comes across in each of my projects.